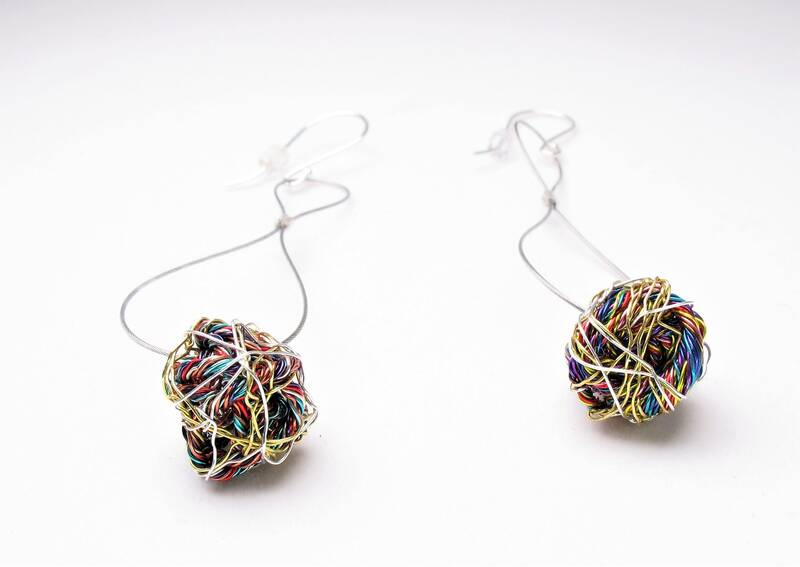 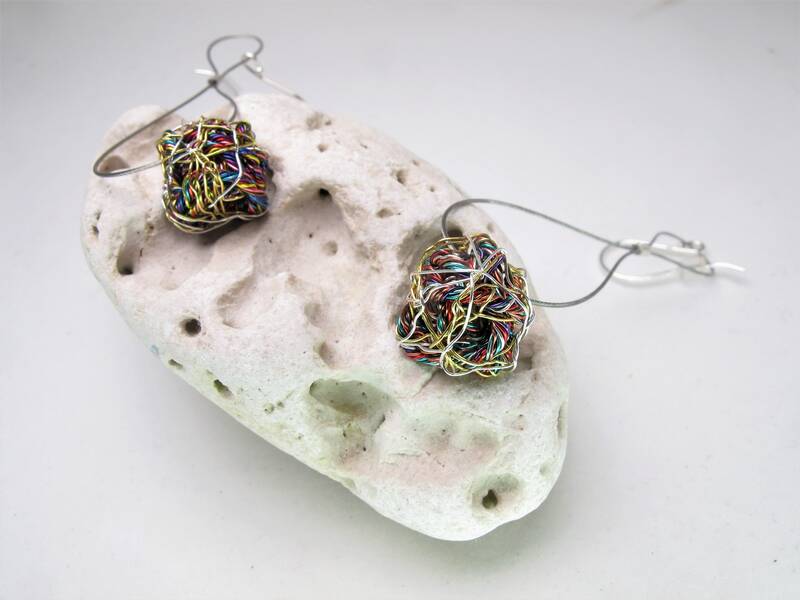 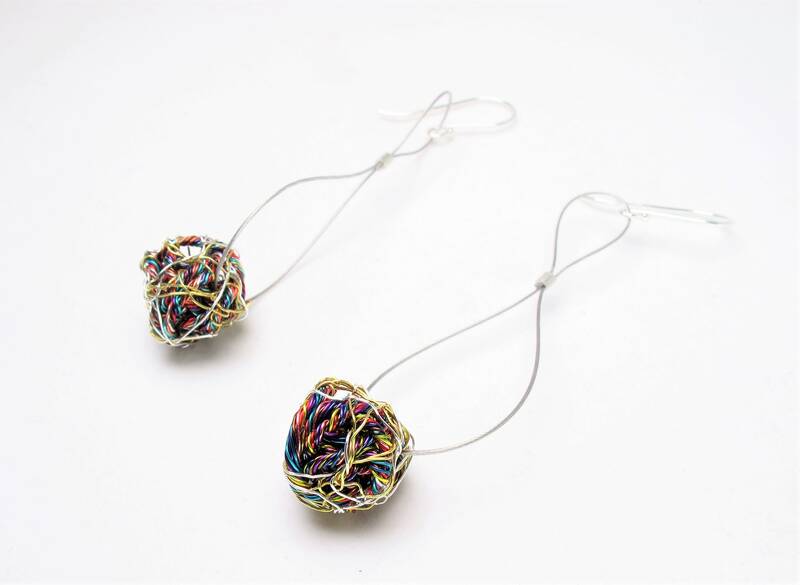 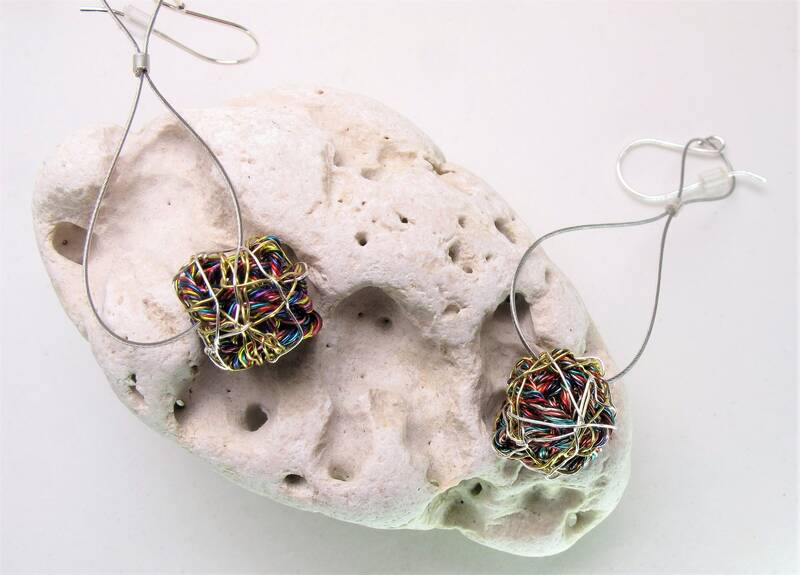 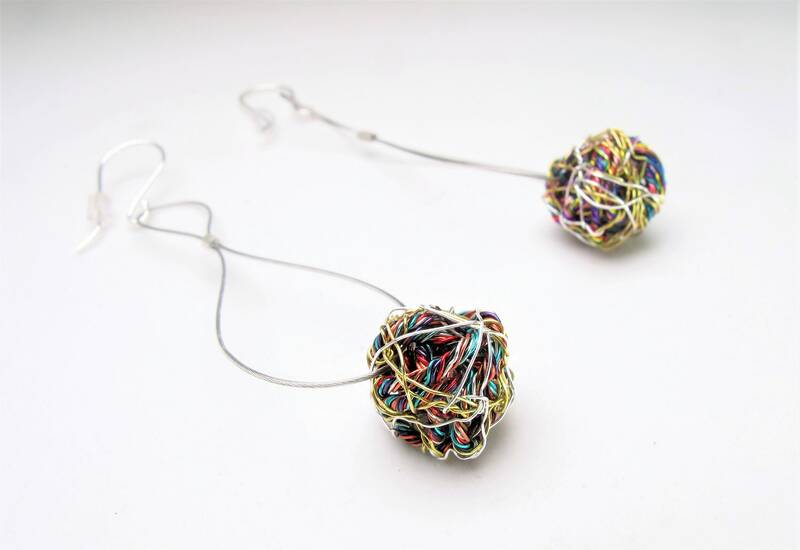 This minimalist, drop ball, short dangle earrings, made ​​of colored copper wire and silver. 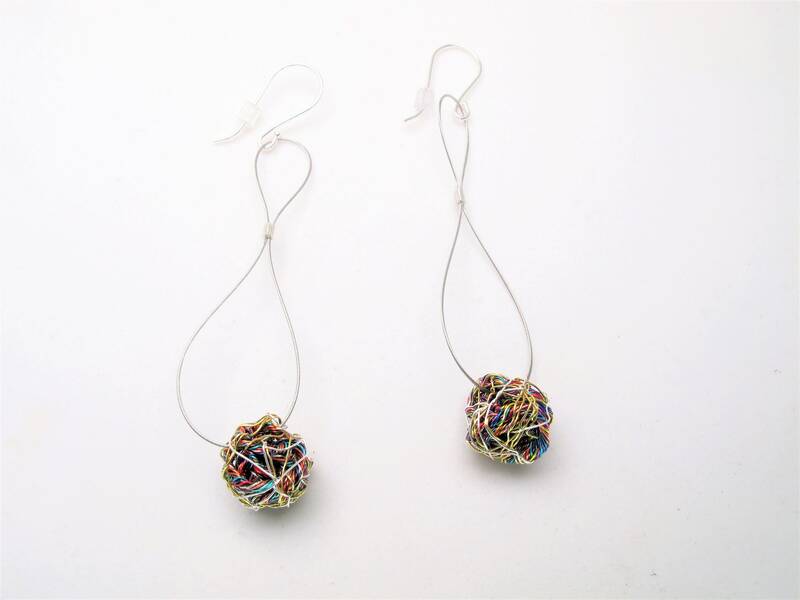 The diameter of each ball is 1.3cm (0.51in). 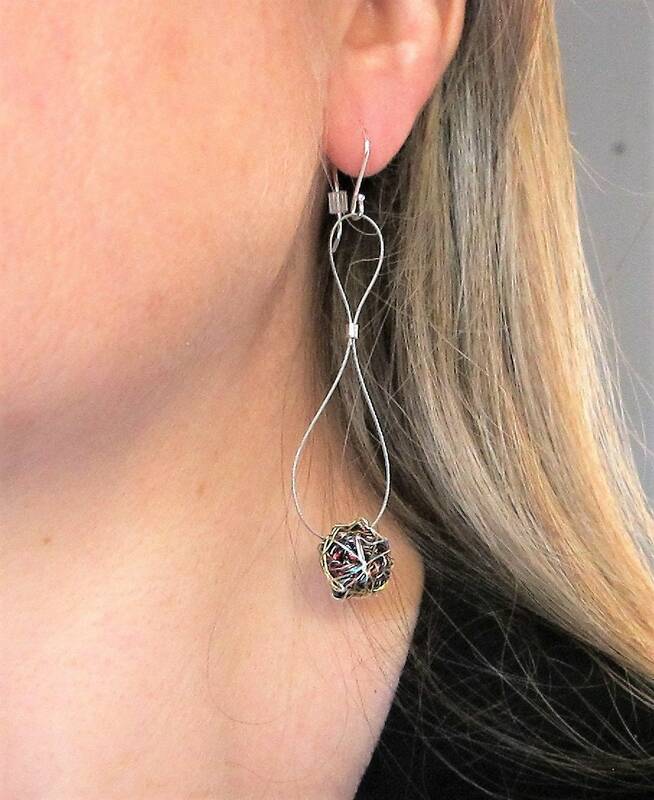 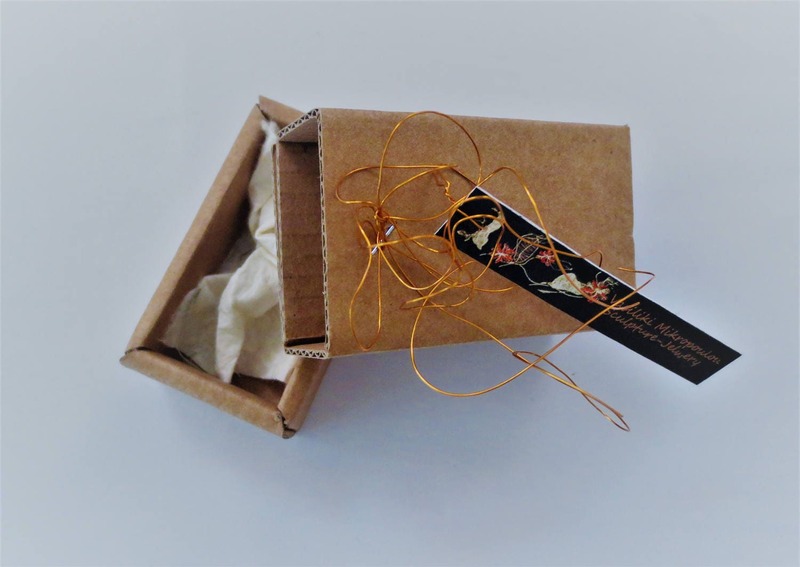 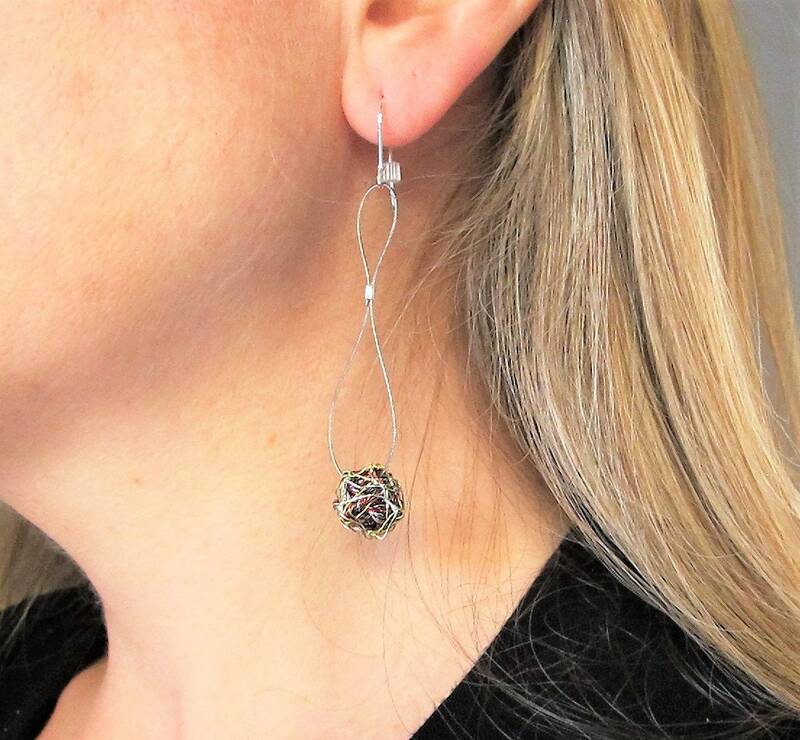 Clips from which standing the modern earrings are hypoallergenic (Silver 925). 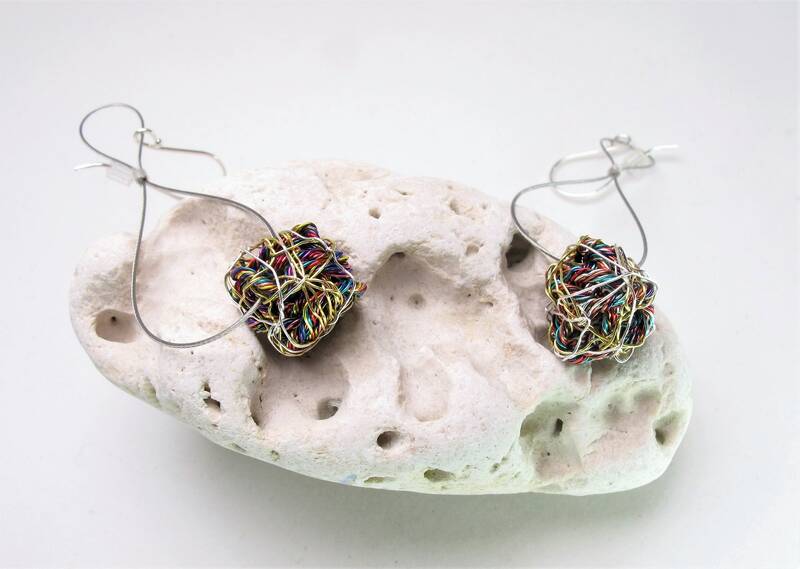 The sphere is empty thus the wire earrings art jewelry are very light.